KarePax Unboxing Review | The Arcade Archives! I have to say I was super excited over this box coming in the mail. There are a lot of monthly subscription boxes that just offer Japanese or Asian treats but KarePax has treats from several different nations. Oh and did I mention there is also comics? 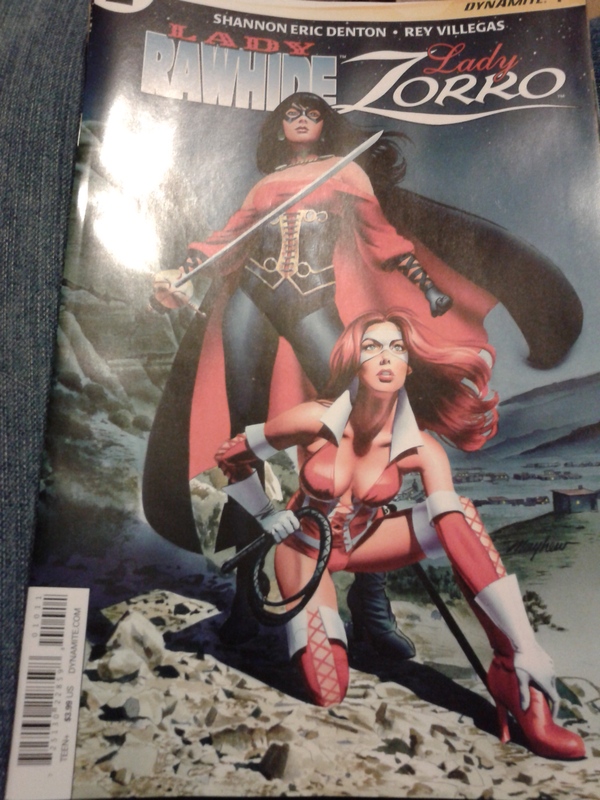 Oh yeah there is comics too!! 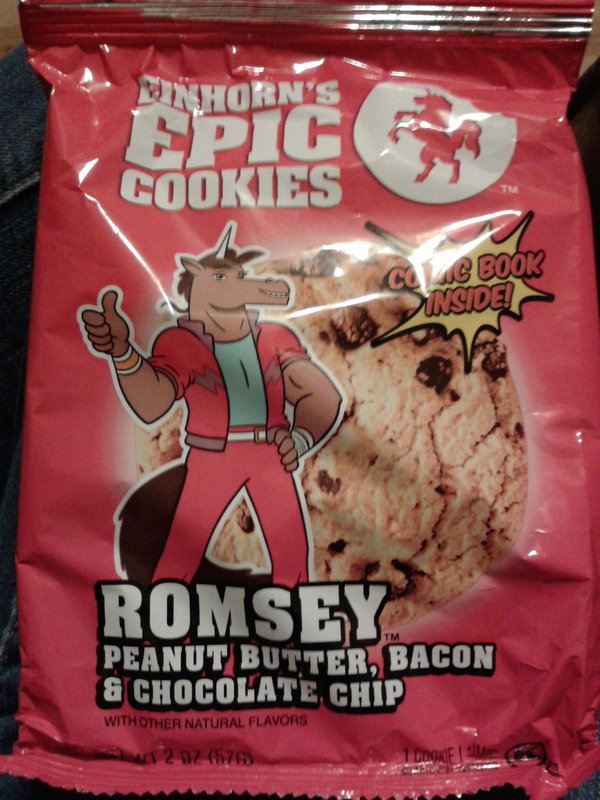 These were actually surprisingly tasty. 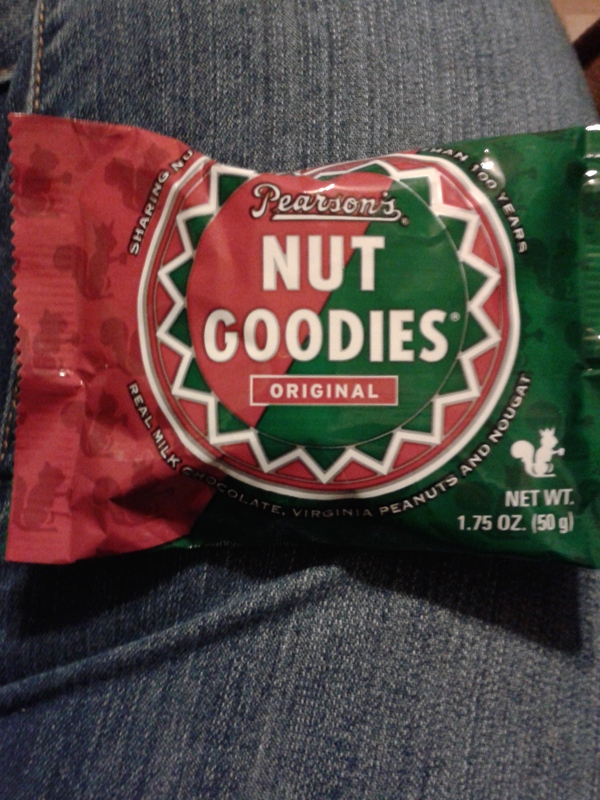 I was expecting something gross but they had a nice flavor to them. 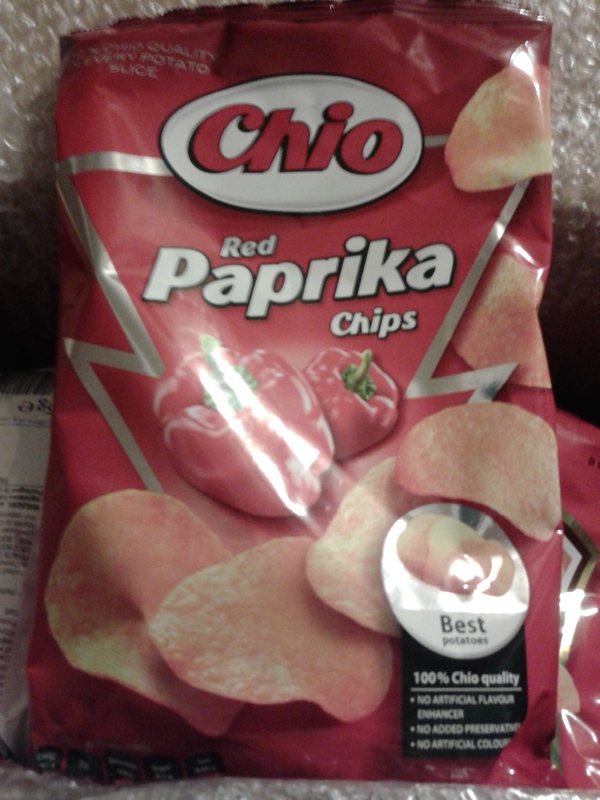 There is a slight spice but nothing major that takes away from the chip. You can also actually taste the potato as well. These on the other hand were gross!! They literally taste like cocktail sauce. I’m not a fan of this at all. I do tend to love all things British but they can keep this. This cookie that is unicorn approved wasn’t as bad as I thought it would be but it was a little salty. The texture and flavor was pretty good. I like to be surprised in a good way by stuff. 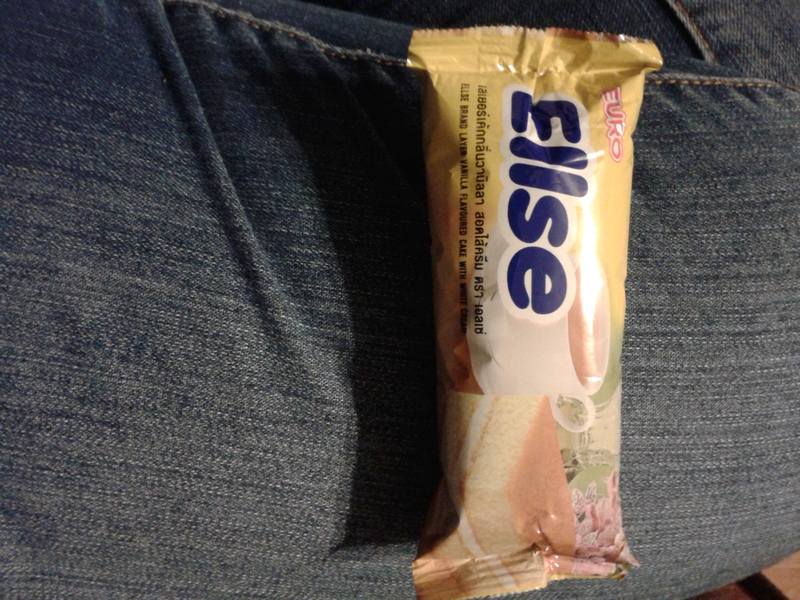 This was a little disappointing because I felt like it had way too much nougat. I think I would have also liked a bit of caramel as well. It wasn’t bad though. There were actually two of these they are like a Banana Twin. But there were two flavors orchid and tea and the other was supposed to be honey dew but it tasted more like cantaloupe. The melon one definitely had the most flavor. 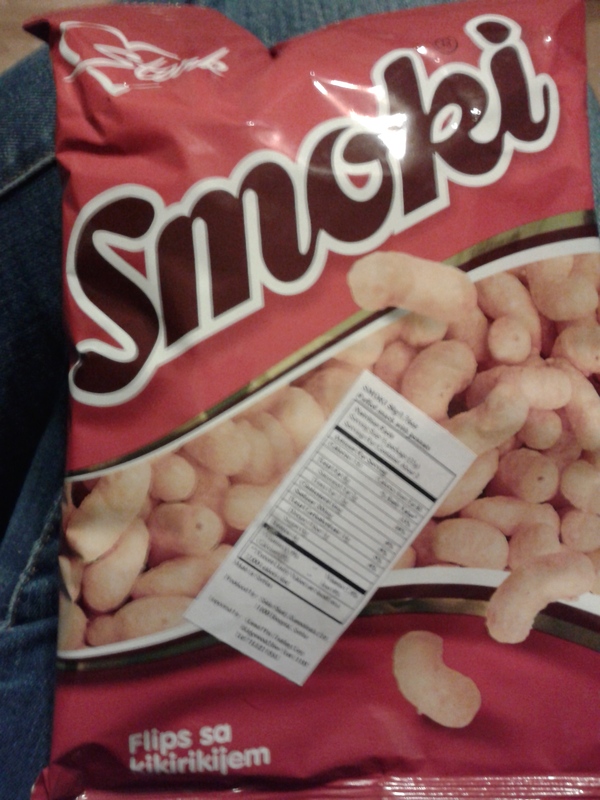 These were kind of like a smoked nut flavored Cheetos! They were tasty. Just the right amount of smoky and salty. This was something I had already had before but it was still awesome!! 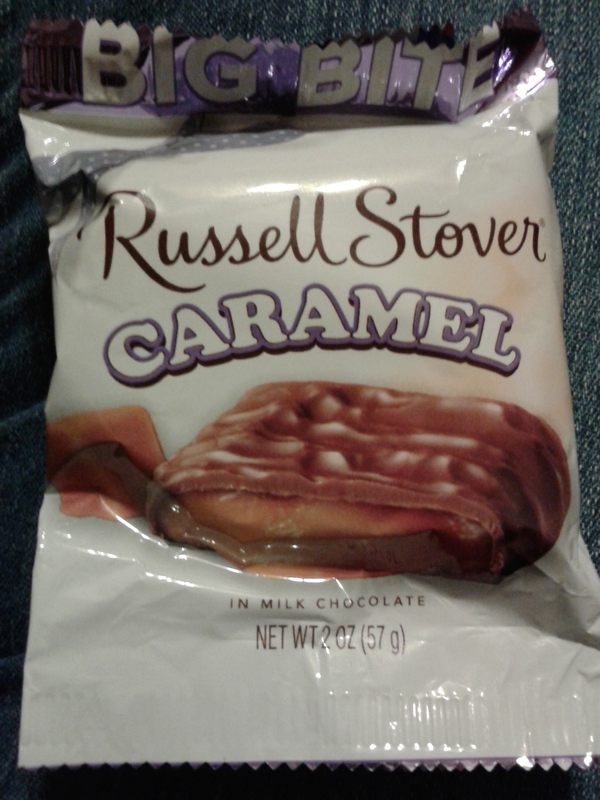 These are so filled with yummy caramel!! These were just weird. It was kinda good but kinda not! It’s hard to explain. I had a major texture issue with this item. 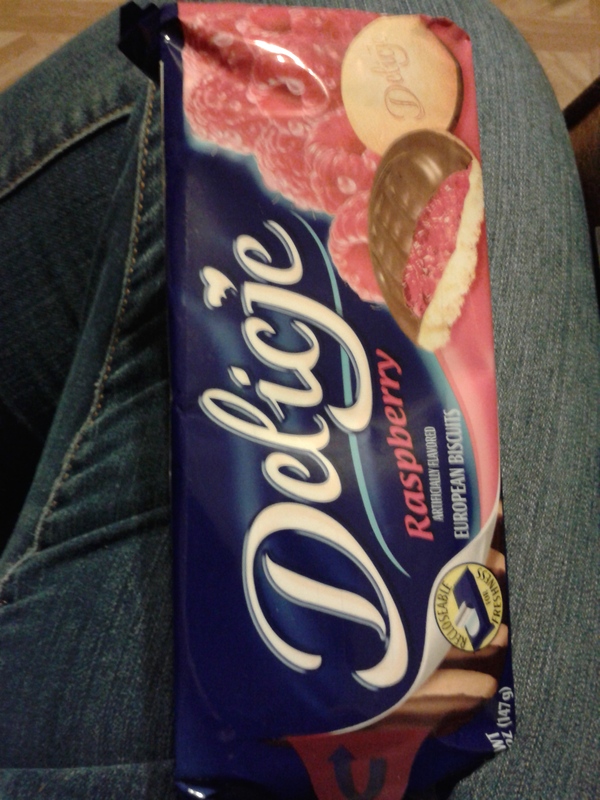 The cookie is very soft with a thick jelly substance coated in chocolate. The blue Kit-Kat is just wrong and nasty!! 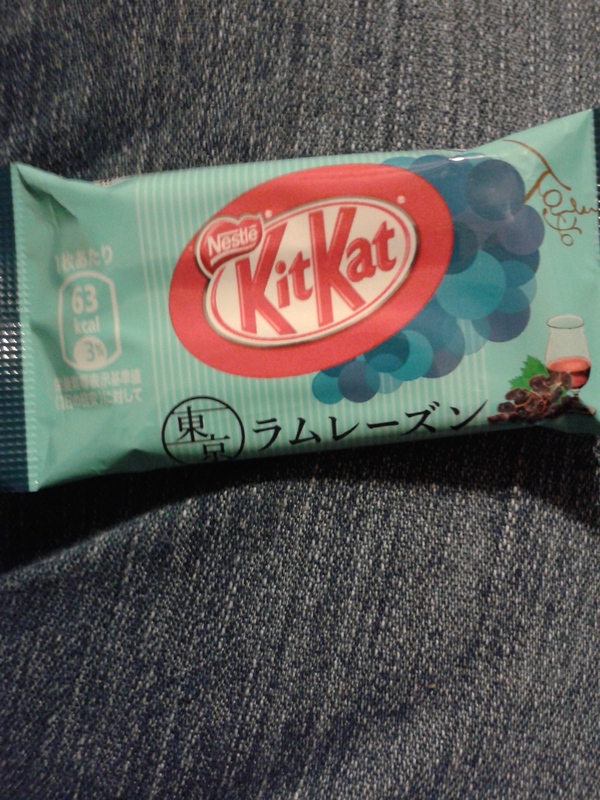 Its a white chocolate grape Kit-Kat!! There are so many things wrong with this. 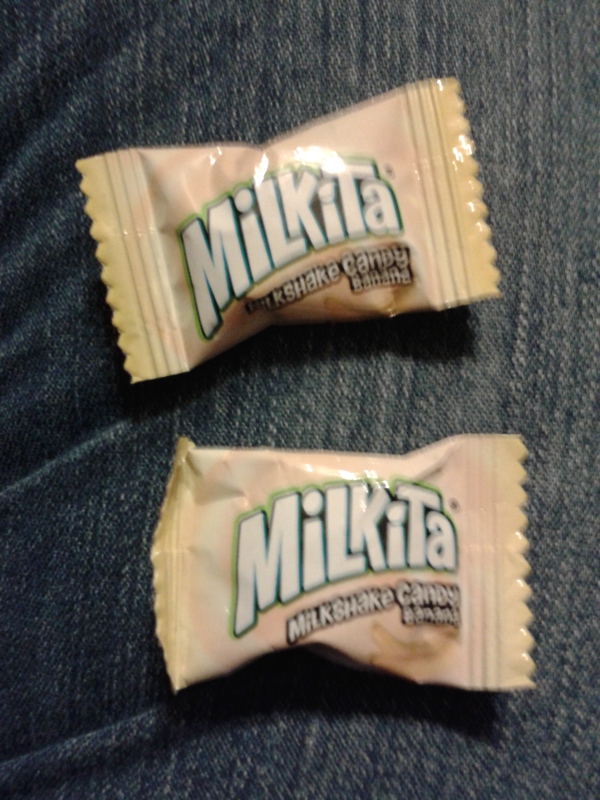 In the second picture there is a Kit-Kat in a black wrapper that is a coffee flavored Kit-Kat. That one isn’t bad. 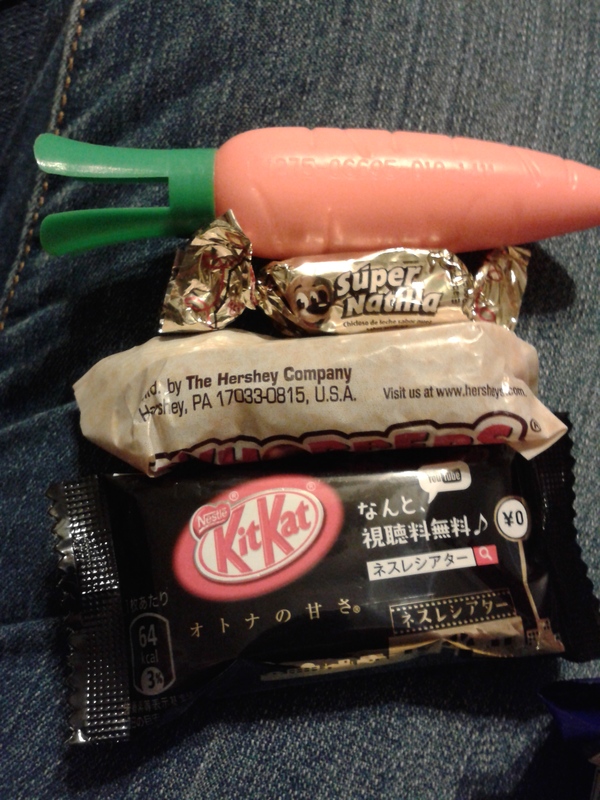 There was also Whoppers and that candy in the gold wrapper is a caramel. This was awesome as well. 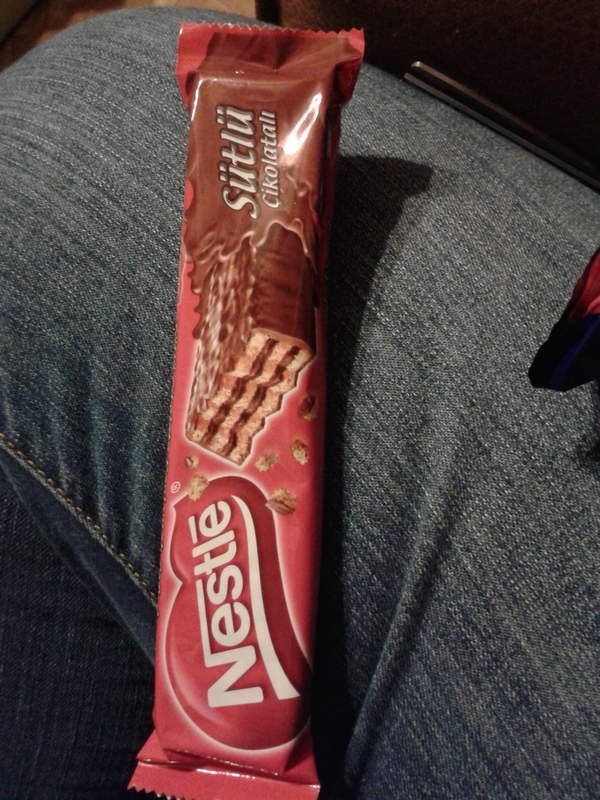 This is like a wafer cookie with chocolate in the middle and on the outside. This was another one I could eat several of. This was awesome! Its chocolate with a hazelnut cream filling. 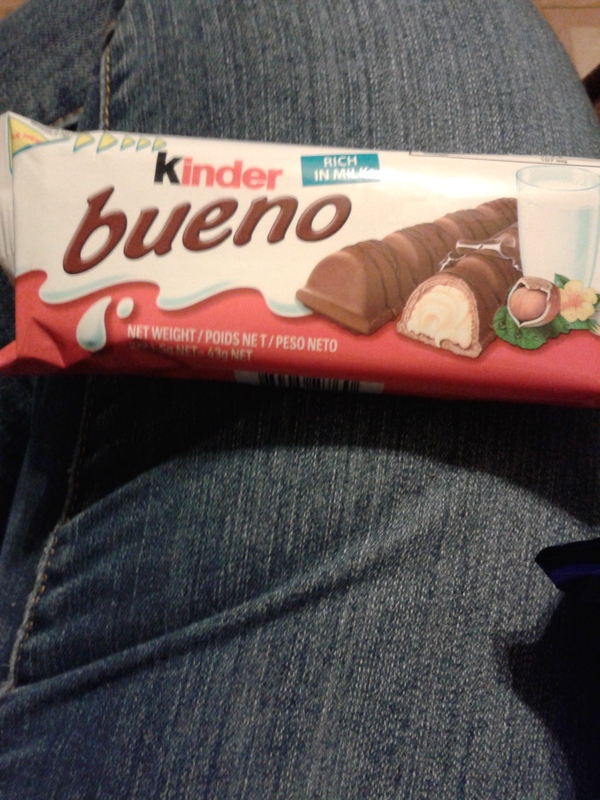 They actually sell these locally at 7-11 so I look forward to having more of these! This is a hard chew caramel center with a chocolate coating. As you chew it the caramel gets softer and chewier this was great too!! I was so glad there was a lot more good than nasty in this box! 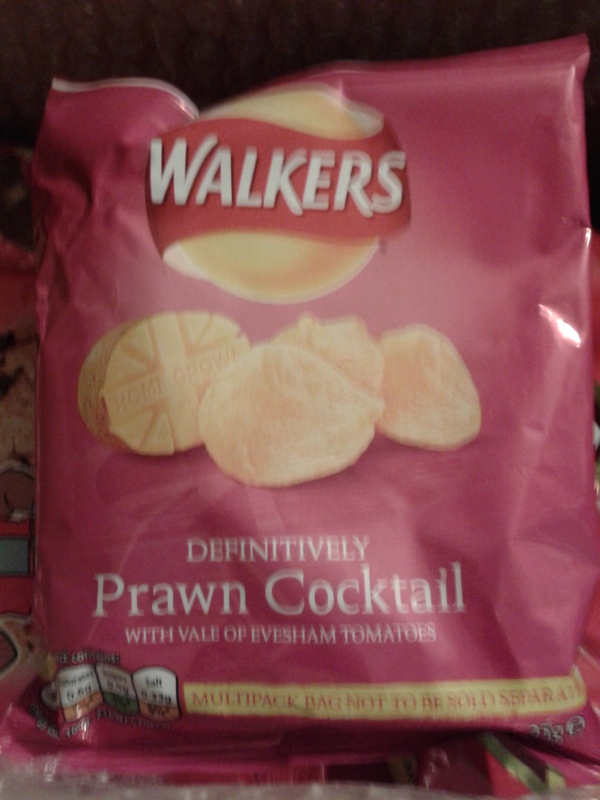 This however was totally vile!! Like for real don’t eat this if you see it. 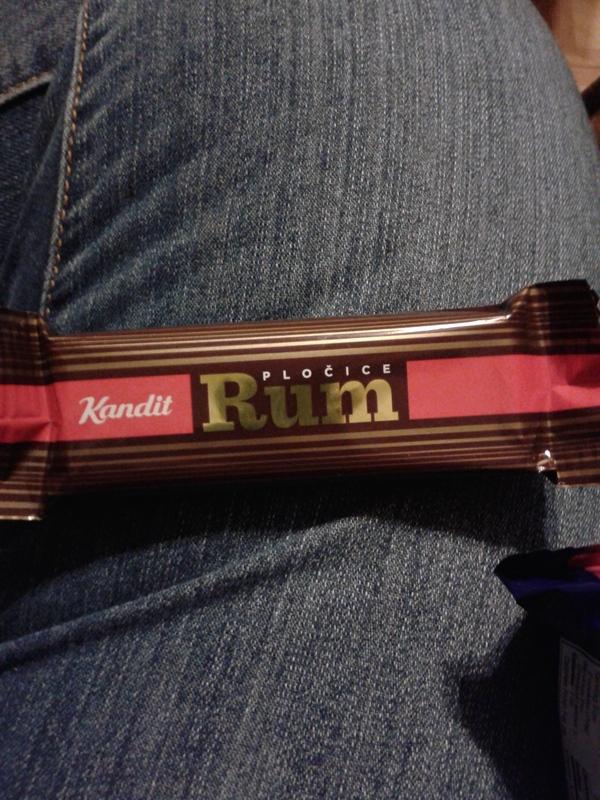 I can’t even describe the flavor but I can tell you it’s not rum!! 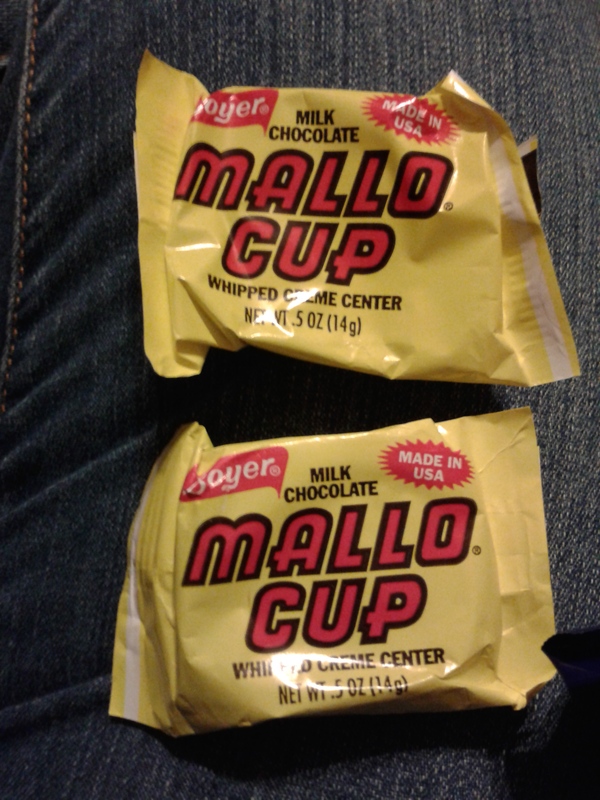 Mallo Cups are an old favorite of mine I love them!! They are actually made by where my where my grandmother lived. The factory in Boyerstown, PA is actually right behind the Boyerstown casket company! Or at least it was the last time I was up there. These were pretty awesome as well! They are banana taffy like candy. They start out hard and soften. 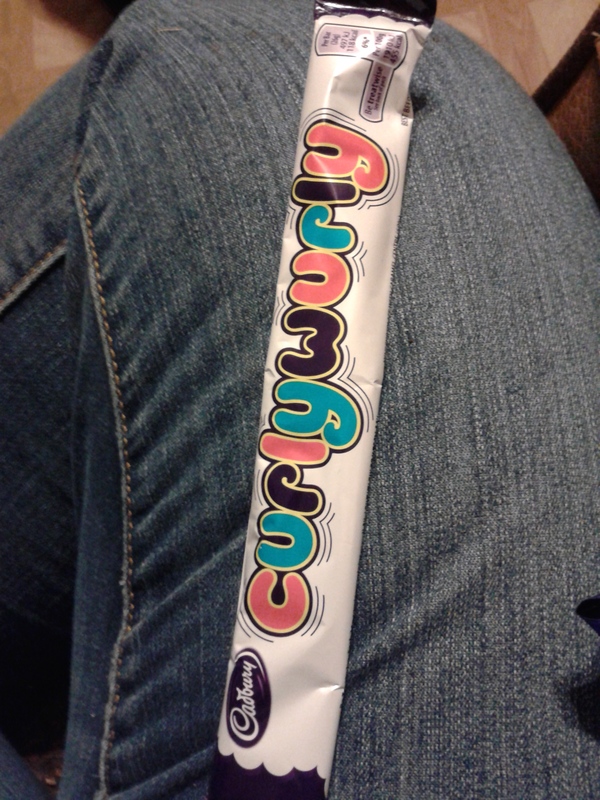 The flavoring is close to Laffy Taffy. 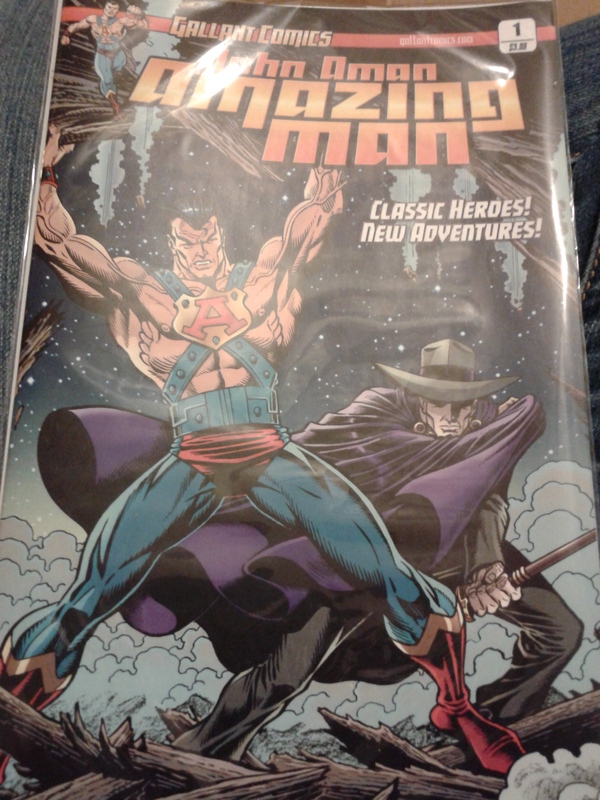 Now on to the comics there were some amazing titles in here!! I mean this Lady Zorro was really good!! Its also a #1 which means I don’t have to worry about not knowing what is going on. 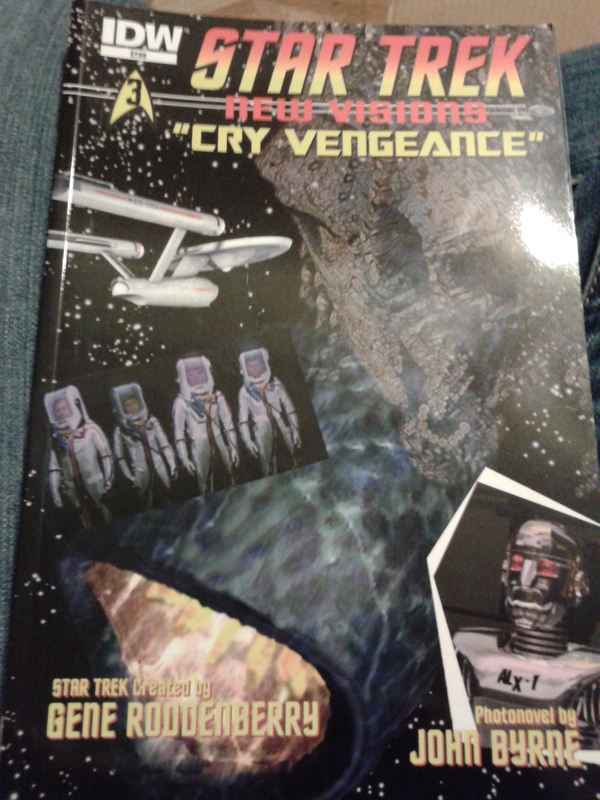 There is also a Star Trek comic which made my little geek heart dance with glee! Although this is a #3 but I still think it’s a great addition to my collection! 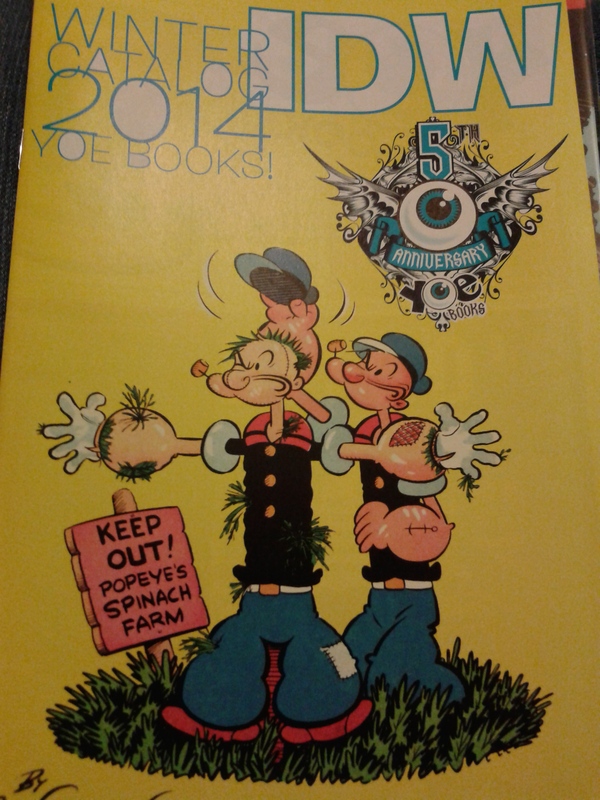 This is a catalog but I loved the cover art to it. I also liked being able to check out what was available. 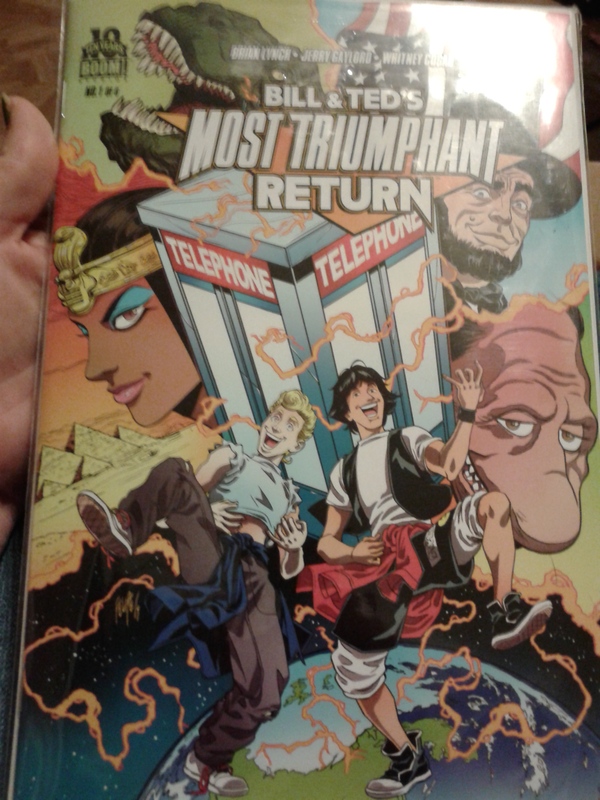 Now this comic I’m not familiar with and I haven’t gotten to read it yet. However I plan to change that soon! Oh and then there was this!! Bill and Ted excellent!! This literally made me do the happy dance!! I loved this so much it was a bit of my childhood restored! Subscriptions for KarePax start at $26.00 a month that includes shipping. This box has so much in it, personally I would recommend it anyone that loves comics and snacks!